Home News SPARK Welcomes Bangor Public Library! SPARK Welcomes Bangor Public Library! SPARK extends a warm welcome to our newest member, the Bangor Public Library. 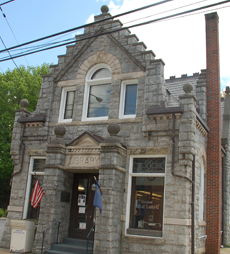 Halfway between Stroudsburg and Easton, this vibrant community library further enhances the presence of SPARK in Eastern Pennsylvania. Expect more announcements about new members soon!